There still are good guys out there. But where oh where are they? They’re just around, and they appreciate us for all that we’re worth. Don’t believe me? Watch this video and see. More good stuff at demandyourdignity.com. This is the brand that I’ve used the longest. It’s the cheapest I’ve found in the stores, and the results are good enough for the price. I wouldn’t say this is the best option, though. I’ve only found this in the supermarket at SM Megamall. 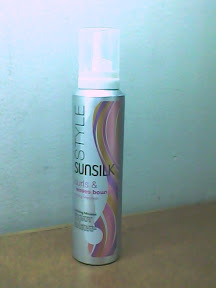 I never knew that Sunsilk had mousse, so I inspected the packaging and realized that it might be imported from another Asian country. I guess that explains why we don’t see ads of this product around. • Lasts longer than any other brand I’ve tried. Hair stays nice and tidy for two whole days. • Sticky! You’d be hurrying to wash your hands after using this. 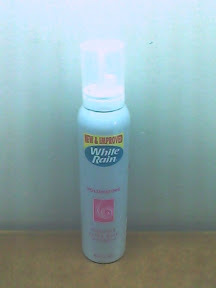 I don’t think it matters, though, since your hair will hardly feel the stickiness after your hair has slightly dried. • Not widely available. During the last time I went to Megamall, I wasn’t able to find any on the shelves. • Hair looks heavy. Some people might find this beneficial, but I’d rather my hair looked fluffy. 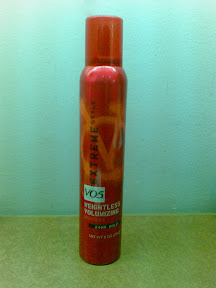 Though a bit more pricey than the other two, I like this VO5 mousse the most. I had to buy it one day because there were no stocks of the other two brands above. It was a blessing in disguise, as I now would opt for this brand. That said, I’m sure Finesse will prove better than all these brands, but I would need to skip a few meals to buy one bottle and I am not going to do that. 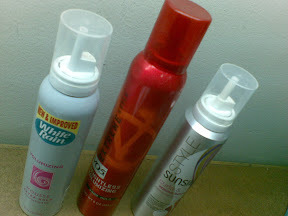 If anyone else would like to share their experiences regarding mousse brands, please feel free to leave a comment.